Located in Cook County, Oak Lawn is a southwest suburb of Chicago. The village has a population of over 56,000, yet still retains a sense of community. Downtown Oak Lawn underwent a revitalization a few years back, and the village is home to 900 licensed businesses. There are also 22 different parks that make up over 300 acres of parkland. A variety of community events are held in the area each year, contributing to the small town feel. Annual events include: Oak Lawn’s Fall on the Green Festival, the Easter Egg Roll, the 4th of July Parade, and the Summer Concert Series. Rustic Elements Furniture is a local custom furniture shop that specializes in handcrafted wood tables. 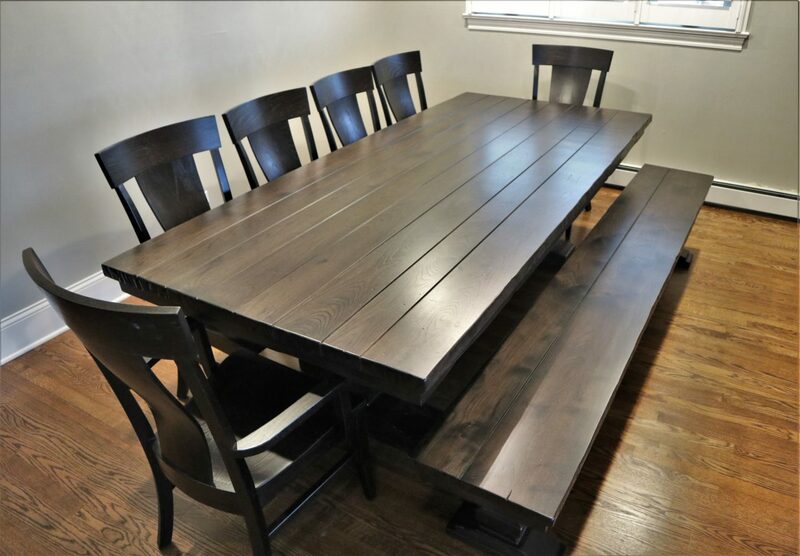 We build all of our furniture using only the highest quality wood available and finish our tables with an imported commercial grade finish that is very tough. Our tables are scratch and dent resistant and will not be damaged by common household spills of bleach, wine, nail polish, or cleaning products. We stand by the quality of our tables, which is why we offer a warranty of up to 227 years! Our shop is located in Joliet, IL, but we work with customers all across the Chicago suburbs – including Oak Lawn. If you’d like to see our tables in person or meet with our owner, Scott, to discuss your custom furniture project, feel free to stop by our showroom. If you don’t have time to wait for a custom piece to be built, we also offer a selection of ready-made furniture. Browse our current inventory to see the pieces we have available for immediate purchase. We don’t just build wood tables. We also build media centers, console tables, island tops, and more! 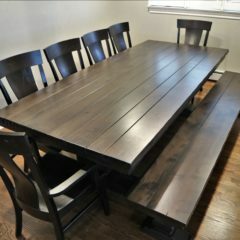 If you live in the Oak Lawn area and are looking to build a piece of custom furniture, contact Rustic Elements Furniture today!